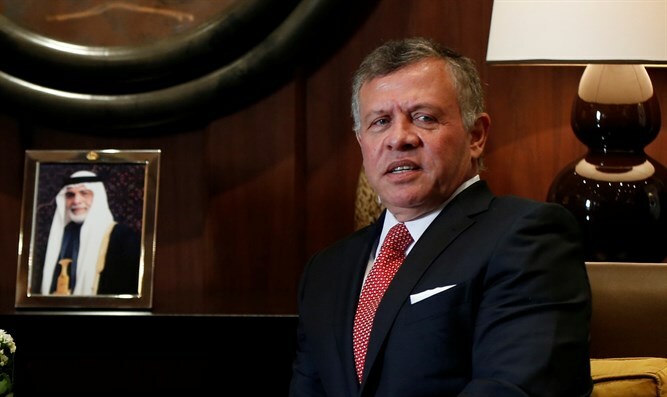 King Abdullah II of Jordan says his position on Jerusalem is "unwavering". King Abdullah II of Jordan said on Wednesday that his position on Jerusalem is "unwavering" and all the Jordanian people are with him. The King affirmed that his country's commitment to the holy city is clear, as Jordan has a historical duty towards Jerusalem as well as the Islamic and Christian holy sites there. "To me, Jerusalem is a red line, and all my people are with me," he said in a statement quoted by the Xinhua news agency. "No one can pressure Jordan on this matter, and the answer will be no. All Jordanians stand with me on Jerusalem. At the end of the day, Arabs and Muslims will stand with us as well," added King Abdullah. His comments came in the wake of the recent tension on the Temple Mount and the Golden Gate compound. Earlier this week, an Israeli court ordered the closure of the Golden Gate, also known as the Gate of Mercy or Bab al-Rahma in Arabic, where the Waqf recently erected a mosque illegally. Following that ruling, Jordanian lawmakers called for the Israeli ambassador to be expelled from the kingdom in response to what they termed "ongoing Israel aggression" at holy sites in Jerusalem.